Friday 14 May 1948, 4 pm Ben Gurion announced The Declaration of Independence at Tel Aviv art Museum, originally first Major Meir Dizengof house. 3 hours later Egyptian airplanes bombard Tel Aviv and the second stage of the War of Independence strike the 600,000 Jews that lived here. 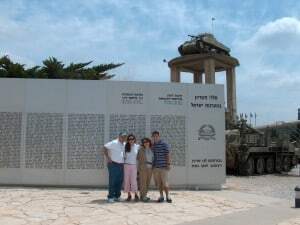 The Declaration of Independence took place in Tel Aviv and not in our capital for 3,000 years Jerusalem because Jerusalem was on siege for 6 month earlier since 29 November 1947, when 1.2 million Muslim Arabs Palestinian refuse to accept the UN resolution, known as the Partition resolution and attack anyone on the road to Jerusalem. 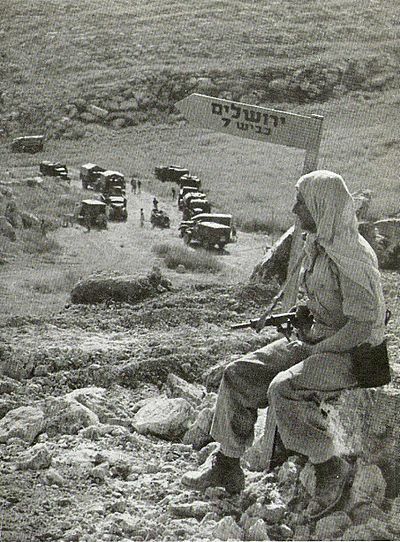 Saturday 15 May 1948 the last British soldiers left Israel and immediately all Arab countries around Israel, nations of 30 million people send their regular armies to attack the new born state. At that point Israel has no heavy weapons as airplanes, artillery guns and tanks, as the British made sure we’ll not have it, and it was quite sure for all that the Arab armies are going to defeat Israel in few days, they call the attack a tour to Palestine. At that day the British left Latrun, the biggest police station the British build to control Palestine and a platoon from Hrael Brigade took over the place just to leave it shortly after, a mistake that cost us hundreds of casualties and many years that this place was Jordanian territory. 3 days later, May 18 a battalion of the Arab Legion, the Jordanian army, but really it was a British army, command by British officers, British weapon and well trained Bedouin soldiers, took over Latrun Police station and the road to Jerusalem was blocked completely. 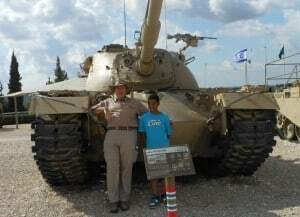 Colonel Shlomo Shamir was command personally by Ben Gurion to open the siege and he complain that he have not enough soldiers and weapon Ben Gurion did not listen to him, open the siege he instructed the colonel. Brigade 7 launch 3 attacks on Latrun Police station only to be defeated again and again by the Arab Legion. 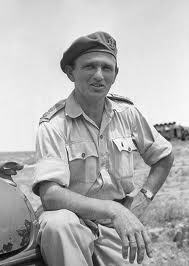 Many Israelis claim to be the one who found the bypass road which is called The Burma road, originally called Brigade 7 road on its lower section and Harel road on the upper section the 2 brigade in the area, but it was an American journalist Kenneth W. Bilby that gave it the name Burma, a miltery expration created in the 2 WW. Colonel Shlomo Harel a civil engineer and many others build the road that gave life to Jerusalem and start functioning fro 10th June 1948 which made Latrun out of the way. Only 12 km long, the original Burma Road was 1,200 km long, gave life to the surrounded Jerusalem. We can do only half of it 6 km in less then half hour, but it will be great experience and understanding of the biggest strategic weakness of Israel- its size.